In January this year, Greggs, the iconic food company launched a vegan sausage roll employing a PR campaign that has since drawn high praise from the PR world. What is meatier, pun intended is that a BBC report says that the firm's shares received a boost and the vegan sausage roll was sold out! A clever campaign that boxed the vegan sausage roll like an iPhone, a witty rejoinder to a vitriolic comment by ITV breakfast host, Piers Morgan soon saw #greggsvegansausageroll trending on Twitter with fast food giants such as McDonald's joining the conversation. Is PR's business impact all about boosting sales? Has the Greggs experience settled the "Can PR help you sell" question once and for all? PR practitioners believe companies are becoming increasingly more demanding about showing business impact through enhanced reputation and even sales. Xavier PRabhu, founder and MD, PRHUB points out that, "For listed companies, the impact of PR on share price is a very good metric to showcase or validate the business impact of PR. In fact, in the case of IT services, the right PR is found to have as high as an impact of 90% on the share price of the company." 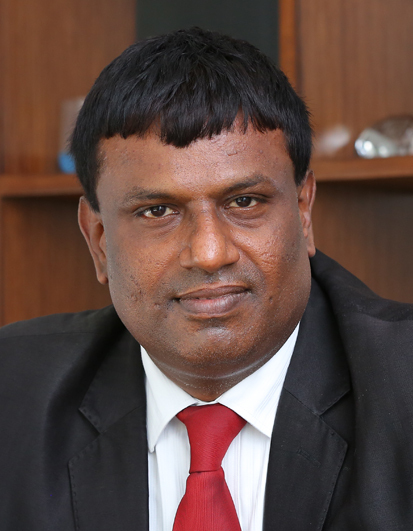 Subhash Pais, head-Hansa PR, says, "I must admit many consumer brands in recent times have started becoming more savvy about their expectations from PR vis-a-vis boosting sales." Adds Pais, "Most marketing tools are seen as specialists but unfortunately PR is also used as a support function to most of these specialist tools. Its job varies from lobbying (such a four letter word) for a particular position to rescuing the damsel in distress (read big monies poured into a marketing campaign which is now tanking). However, If you are using PR to go anywhere and do anything in your marketing mix or only as a support function to other marketing tools then you are using a Samurai sword to slice onions." Sherina Kapany, founder, sunSTRATEGIC PR is clear that PR does not guarantee sales. She says, however, "It definitely affects your sales success in an indirect manner. Coca- Cola is one such example. 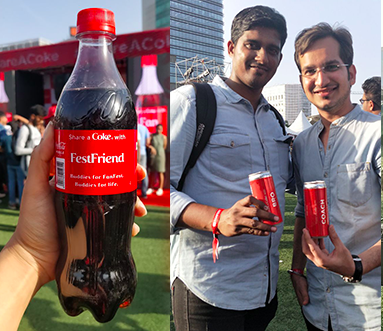 They introduced a PR campaign called 'Share a Coke' that went viral. The company shared a personalized brand experience with their consumers which is considered to one of the greatest global communication campaigns ever launched. Millions of pictures were shared on all social media platforms. Due to the PR campaign, the brand recall and credibility of Coca-Cola increased which also contributed to an exponential sales number in that quarter." For Shoeb Ahmed Shaikh, director-south, Ideosphere Consulting, the answer to the sales and PR question is a resounding yes. He says, "Traditionally sales and marketing have had an asynchronous coupling in most large and growing organizations. However, product marketing, especially in the consumer technology sector, can bring harmony to this relationship. Since product development is largely about solving the challenges of customers today, communications actually can lead to a two-way feedback mechanism of gap identification and development. Offering perspective, Shonali Chakravarty ( pictured left), director - corporate communications, OYO Hotels & Homes says, " In the case of product PR, the purpose cannot be to solely promote the brand's offering as that will lose earned media credibility. Contextually mentioning an offering while providing a deeper insight into the industry trends is advisable." Is PR's business impact all about reputation? It often sounds like a no-brainer to be asked to prove the business value of PR. Whether you are telling the neighbour or a vast market, awareness about anything is impossible without communicating and therefore without PR. 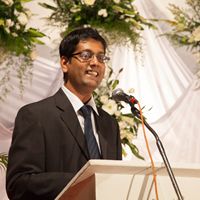 Keyur Barad, founder, Gecko Worldwide , says, " It is common understanding that the organisation with a strong focus on its reputation is going to enjoy better likability, attract better human resource, find better partnerships, cultivate demand for its products, influence purchase decisions, claim international recognition as well as enjoy a better share price and hence eventually draw more revenue. This is the business impact of PR in terms of building a reputation of the firm. It is common knowledge that better reputation accounts for 3-7.5 % of total revenues of an organisation." As Achal Paul, director, BUZZ Communications puts it succinctly, "Consistent brand presence in the relevant media, amongst its target audience ensures brand salience, which results in business gains!" 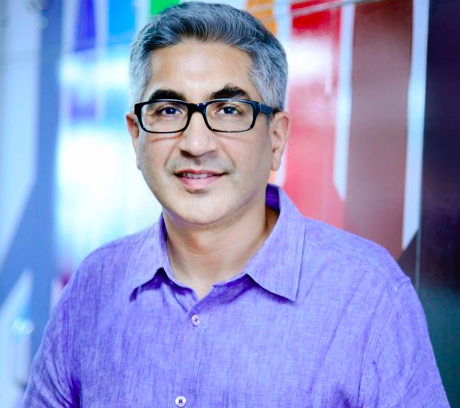 According to Nitin Mantri, CEO, Avian WE, and incoming president for ICCO in 2019 said," According to the ICCO World Report 2018, crisis counsel and reputation management will be the most relevant skill in the PR industry for the next decade." This finding doesn't surprise Mantri given the potential for social media to create a brand crisis. Mantri points out that, "In the past few years, there has been a mindset shift in the PR industry. PR firms have recognised that business impact is what CEOs and CMOs want to know. Hence, they are increasingly taking the help of both quantitative and qualitative methods to understand the true impact of their work, build a narrative about their hard work, and provide insights for future strategies. In the long run, it’s an investment towards increased revenues." While for listed firms, reputation reflects in its share value, Xavier PRabhu says that even for non-listed firms, PR’s business impact can be measured or showcased in different ways. This is visible in, "The premium it allows the brand to charge its consumers, the value of the goodwill cushion it creates for a brand to absorb the impact when there is a crisis or bad patch, etc. In companies where talent is critical to the business like technology and services, PR’s business impact can be measured or gauged from the strong employer branding it creates which reduces recruitment costs and the positive value of higher retention it brings as well." 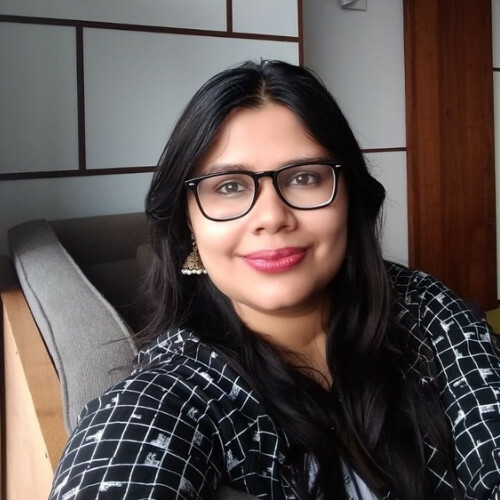 Sharing an example for measurable business impact, Priyanka Bhatt, founder, Equations Media says, "We were handling the account for White Unicorn Ventures. The firm had planned to invest $20 million in early-stage companies. When this story appeared in the Economic Times, with an article in 'The Economic Times', the client told us that after the article was published they heard from 120 startups saying they read the story and approached them." Shoeb ( pictured left) says its reputation that helps firms grow a loyal customer base that then helps grow the firm in turn. He explains, "Netflix, is a great example of this. Netflix’s year-end offerings like Bird Box, Bandersnatch and even the #2018YearOfRadhikaApte campaign has cemented its position as the leader of on-demand entertainment globally and locally." Shoeb further adds, "For Bandersnatch, they made the audience the quasi script-writer. The resulting conversations, memes, fan orgies, cement its leadership position in its segment. For the first time in its history, Netflix published viewership numbers and Bird-Box, with 45 million views in the first 7 days, would give any Marvel blockbuster a run for its money. However one needs to be careful as enhanced reputations lead to skewed and unrealistic expectations. Brands need to be cognizant of not pushing the envelope faster or further than the realms its audience inhabits." PR also helps to build its reputation as a place to work. Chakravarty says that is especially true of the technology space, "As more and more brands today become vocal on issues that are larger than just business, and want to be seen as transparent, great places to work, PR can help create a constant drumbeat of messages that seeks to address and solve for questions around the company's reputation. Therein lies its' impact." What do the CEO and CMO want from PR? The answer to what the CEOs want to PR depends largely on the structure fo the firm. A large MNC, even if in the tech space will not look to PR to boost sales, even if individual product PR campaigns are there. It is start-ups, mid-size firms and family-owned businesses, the latter dominates corporate India, that wants PR to also deliver on lead generation and even sales. Shoeb feels that "An encouraging sign is greater C-Suite direct involvement and participation in PR strategies, a sign of its growing importance and growth numbers. Digital and social media are giving leadership more accessible and relatable platforms to communicate directly with global audiences, a phenomenon that has installed the CEO as one of the most accessible nodes of information and feedback to a brand. This was not a reality even 5 years ago. This is almost forcing the C-Suite into a ‘24/7 Communication Thinking’ mode." More specifically Mantri opines that " Customer experience tops the priority list of the C-suite. PR professionals are helping clients understand and navigate their fragmented audience landscape and increase the value of their brands through third-party endorsements and authentic storytelling." PRabhu (pictured right) adds that " Instead of waiting for C-suite to seek PR impact metrics, internal PR teams should proactively pitch these metrics to the senior management and get their buy-in as early as possible. Once both are done and certain rigour required is adhered to, there is the highest probability that the management will see the business impact of PR themselves." Mantri agrees, concluding that "As PR gains importance in the growth strategy of key businesses, its impact on business will be scrutinised more. PR firms will, therefore, need to focus on tying the appropriate metrics against the client’s goals and objectives and control how they can grow the brand’s audience, thus increasing revenue creation or top line growth. This is the only way to grow the industry and ensure that clients value the work we do." Barad, founder, Gecko Worldwide explains, "A CTO expects the PR team to support his technology initiatives, which include but are not limited to creating favourable public opinion on new technological advancements in the company, support and facilitate the adoption of such innovation, that the company is innovation-centric under his /her able leadership. With respect to the CFO, he expects the PR team to deliver communication that supports the strong financial position of the organization and better placement of financial decisions in the public eye. All C level executives expect the PR team to communicate their goals, their objectives as well as their achievements into positive and impactful stories for the purpose of favourable image building, business impact and a better reputation for the individual as well as the organisation."